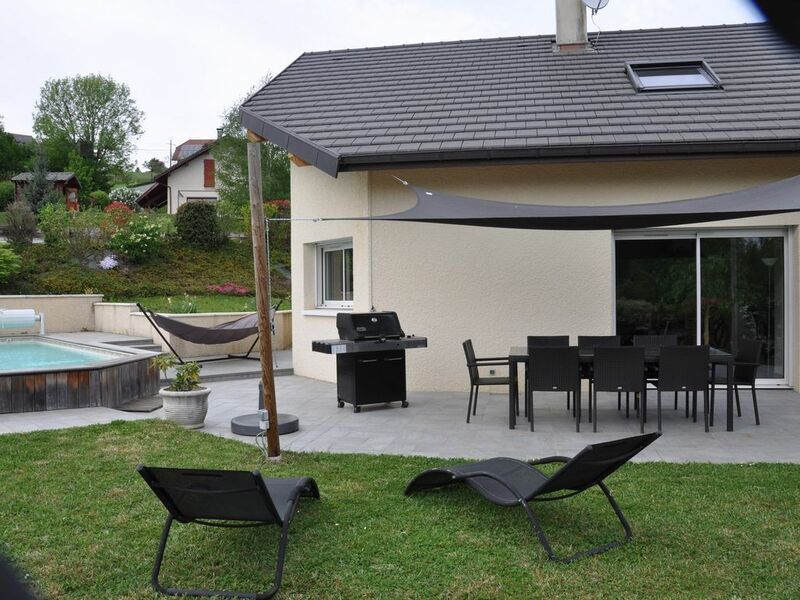 Villa quiet comfort with pool, south facing terrace, parking 4 private cars. On the ground floor: a master suite with large bed 160 * 200 and TV (WC, shower and sink). On the floor 1 room with double bed 140 * 200, a room with a bed of 160 * 200, a room with two beds of 90 * 190, 1 SDB with double basin, WC tidying up and tub. Fully equipped kitchen: large fridge, oven, microwave, induction hob, dishwasher, waffle iron, pierrade beer pump, coffee machine, raclette machine, fondue.